- Set the text font, font size, bold, italic, underline, strikeout, superscript, subscript, and other features. - Support Insert commonly used graphics,predefined or customed stamps, images. Allow to manually draw custom graphics. 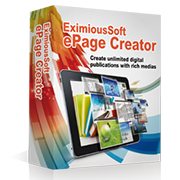 - Enable to add pages, delete pages, adjust pages order in the documents. - Select, insert, edit, delete, rotate, cut, copy and paste text, shape, image objects. 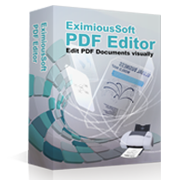 - Generate PDF documents compatible with all popular PDF Readers. - Interactive flipbook with vivid，realistic animated page-flipping effects. - Publish as ePub, Mobi etc. format eBooks. - Import publications from PDF, Microsoft Word Documents, EPub and Mobi Files, Rich Text Documents and TXT Files. - Add or edit texts, shapes, videos, audios, links, buttons into publications as needs. - Create any shape graphics with full vector-based drawing tools . - Comes with 500+ high quality logo templates, 5000+ symbols and many gradient styles. - Any shape and text can be filled or stroken with an solid color, gradient colors even an image and a texture. 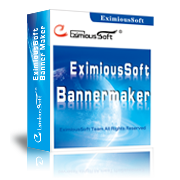 - Provides 500+ pre-designed banner templates and 5000+ symbols and many preseted gardient sytle, textures. - Provides full painting tools for editing & painting images. 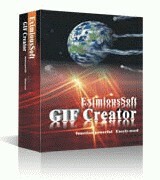 - optimize GIF images with high quality but hold the smallest file size. - Provides 60+ effects to build impressive animations by one click. - Supports shadows, outline, gradient, even 50+ image filters. - Supports layer editing and manage frames visually. - Bring 200+ Buiness Card templates, 300+ logo object, 2000+ shapes and other pre-designed gradient styles, textures. - Edit visually with powerful but easy drawing and painting tools. - Print cards freely on local printers or save them as image files such as PDF for print shop. Now with more than 1,376,000 customers and trusted by the experts. 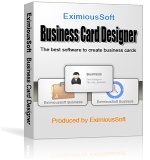 "Fantastic logo design software! Many useful logo resources are available. I love it!" The business card is a man's best friend when he introduces himself to potential business partners and colleagues. It's probably one of the most comfortable, easy and successful way to advertise your business.